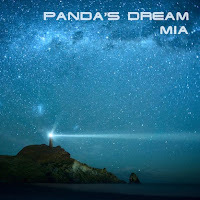 System Recordings News: Pandas Dream 'Mia' - Out Now! Pandas Dream 'Mia' - Out Now! May 31, 2011 - PANDA'S DREAM presents his second full-length artist album, 'MIA', featuring 11 songs spanning chillout, progressive house, low key breaks, and electronica. Includes "EASY MOTION", "SUMMER LIGHTNING", "NIGHT OWL", and "RIGHT OR WRONG".